- Watching the Picnic Day parade from a favorite vantage point. - Wearing pajamas to greet alumni at the train station for Homecoming weekend at Pajamarino. - Meeting at the Egghead in front of Shields Library for a finals study session. 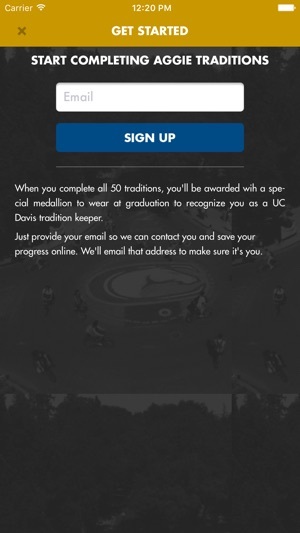 Once you complete all 50 traditions, you will be honored with a special medallion to wear at graduation to recognize you as a UC Davis Aggie Tradition Keeper. 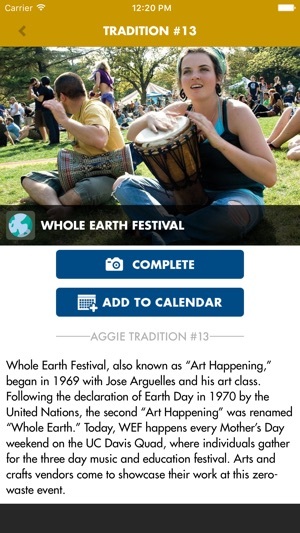 This is an awesome app that lists all the traditions here at UC Davis. It includes brief background information of each tradition so you get to learn about how that tradition came about. 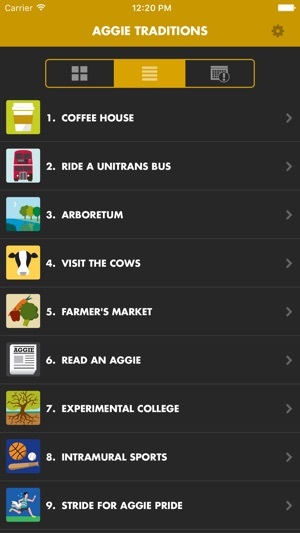 Can't wait to start this list! 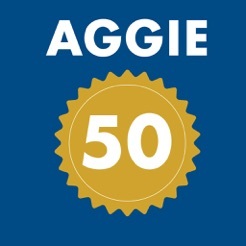 I've am a huge supporter of the Aggie traditions program and it's great to see this app on the market! 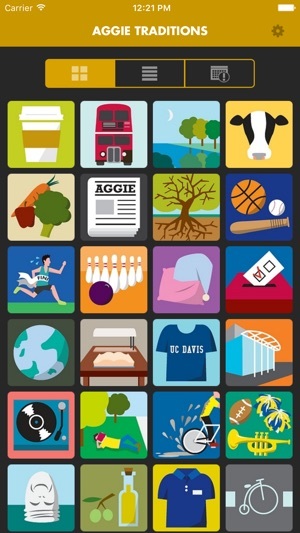 It's definitely something every UC Davis student needs to have. 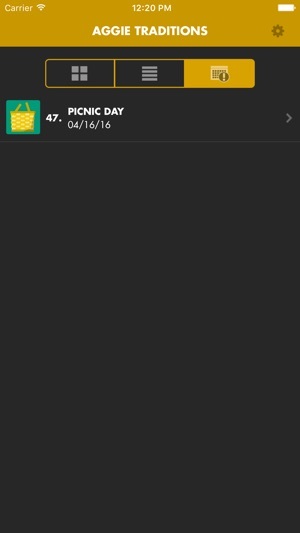 Cool app. Makes me feel like I'm making the most of my time at Davis. I wish there was a way to see other people's accomplishments and pics.